Ag Progress Days features the latest technology and research exhibits, educational programs, and guided tours. 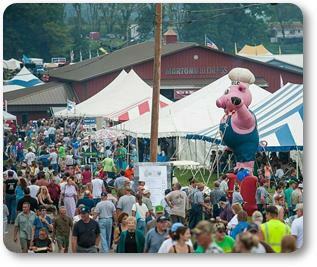 Sponsored by Penn State’s College of Agricultural Sciences, the event celebrates the forty-second year to be held at the Russell E. Larson Agricultural Research Center at Rock Springs, nine miles southwest of State College, Pa. 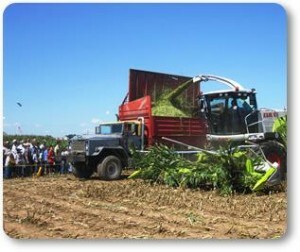 It is one of only three agricultural exhibitions in the country sponsored by a major University. Our exhibits showcase the latest in Penn State research, as well as information on best management practices and changing regulations in the agricultural industry. With close to 500 exhibitors from 34 states and 4 provinces of Canada, we have something for everyone. Each year, farming families from across Pennsylvania and surrounding states attend this three-day event. Of the 45,000 expected attendees, over 60 percent are actively engaged in agriculture or related professions. Come and learn about the latest innovations in the agricultural industry and spend your day with Penn State Extension educators. PSCFO’s June Council meeting recognized former PDA official Michael Pechart who served under Governors of both parties for eleven years and who retired from PDA earlier this year to take a private sector position. He was a huge resource for PDA and for the entire Agricultural Community. Penn State Board of Trustees. Congrats Betsy! The Council voted unanimously to rate all three Penn State Trustee candidates as qualified. Two are incumbents seeking re-election, past PSCFO President Betsy Huber and current Trustees Chairman Keith Masser. The third candidate is former state representative Jess Stairs (R-Westmoreland). All three made presentations to the Board. If you would like copies of their bios, please contact PSCFO at vince@vphillipsassoc.com.